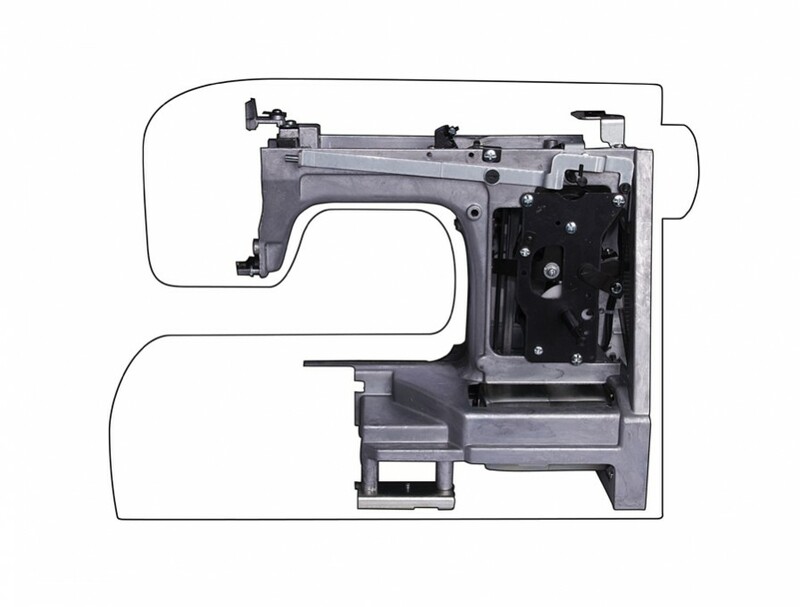 Just like a most sewing machine manufacturers, or any product for that matter, Singer continually tries to improve their products. This being said, they always come up with a clone of an older model with an additional function or two. The same can be said for the Singer 4452. Let’s talk about it more in this Singer 4452 Review article. 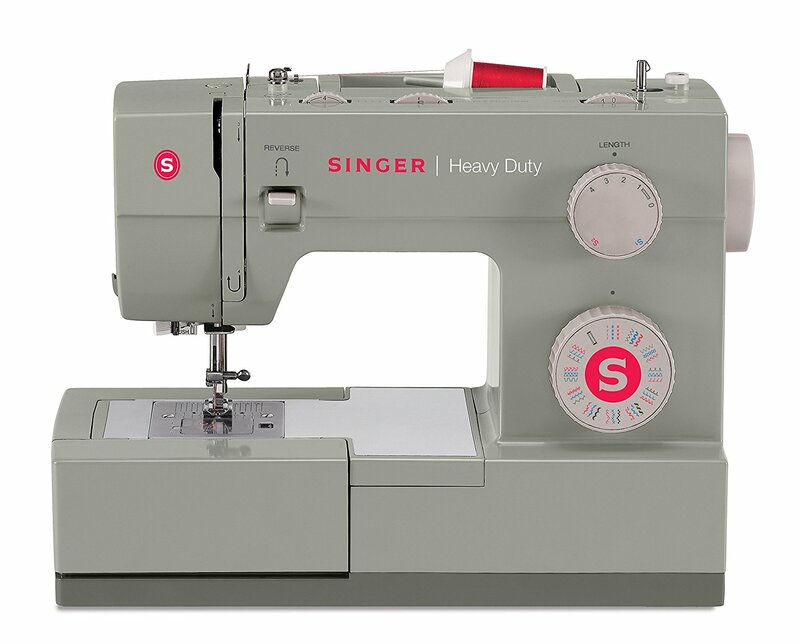 The Singer 4452 is another heavy duty sewing machine from one of the world’s most popular sewing machine brand. 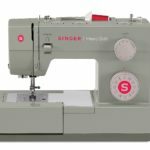 As mentioned in my introduction above, Singer is describable as a clone of the earlier Singer heavy duty sewing machine model 4423. The 4452 is 18″ x 8.8″ x 13.5″ in size and weighs 38.7 lbs. It’s heavy alright. As what most would expect from a heavy duty machine, frame and parts are mostly metal for durability. The frame was also made to be heavier to balance the weight and the power of the motor to avoid any wobbling that might result in missed stitches. The motor for this particular model was made to be 60% more powerful than other machines. 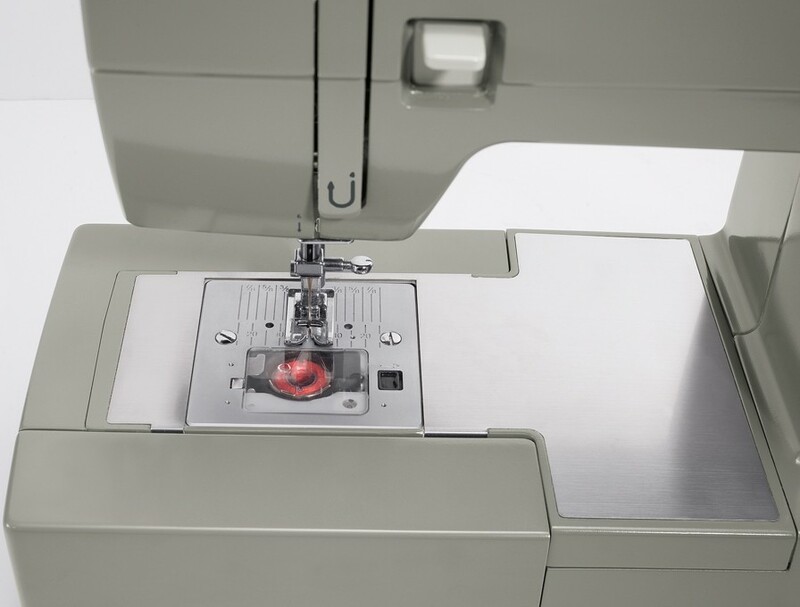 • This machine has 32 built-in stitches. 6 are basic stitches, 7 stretch stitches, 18 decorative and 1 buttonhole. • It has an automatic needle threader and a stainless steel bed plate. Easy to replace snap-on presser feet with an extra high lift function. 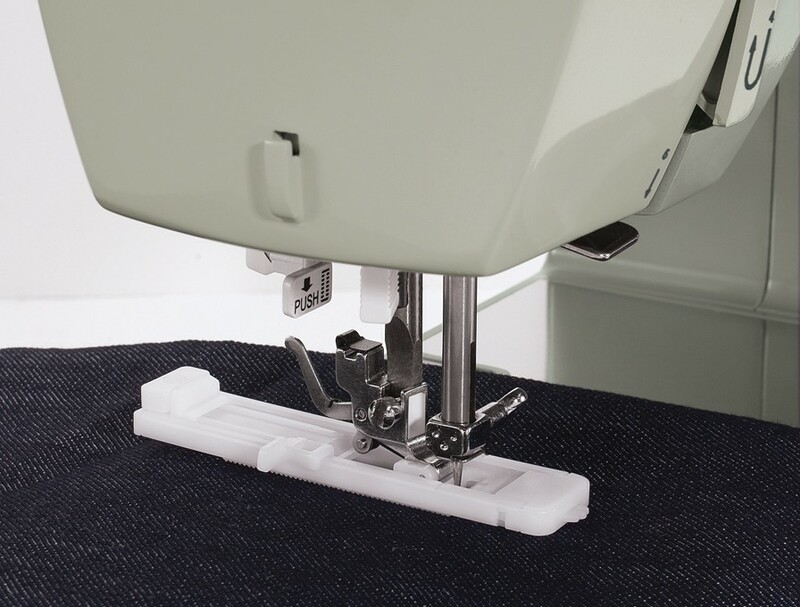 • Adjustable presser foot pressure function to accommodate any type and weight of fabrics. 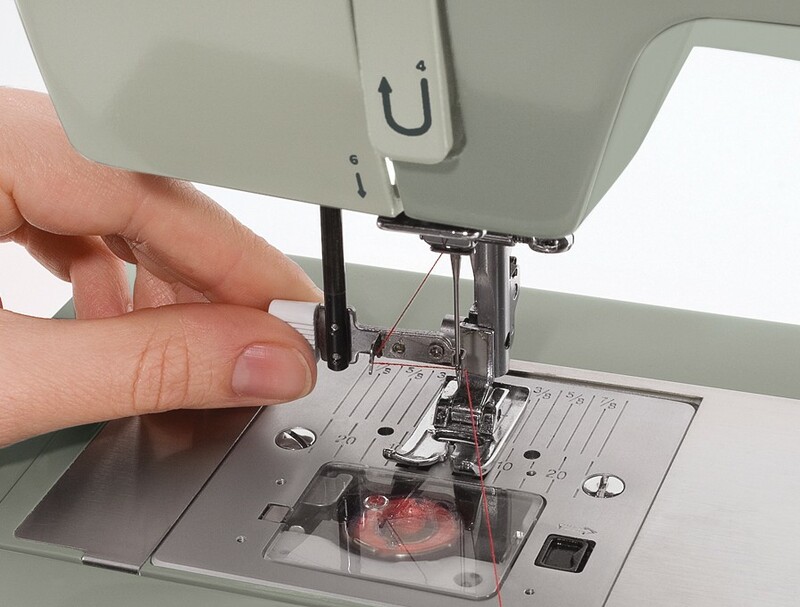 • The Singer 4452 can sew as fast as 1,100 stitches per hour. Stitch width can be adjusted to as wide as 6mm. Stitch length is adjustable too with a turn of a dial. • Reverse stitch function and three different needle position. Heavy duty accessories and attachments were also specially made to be able to keep up with this powerful machine. 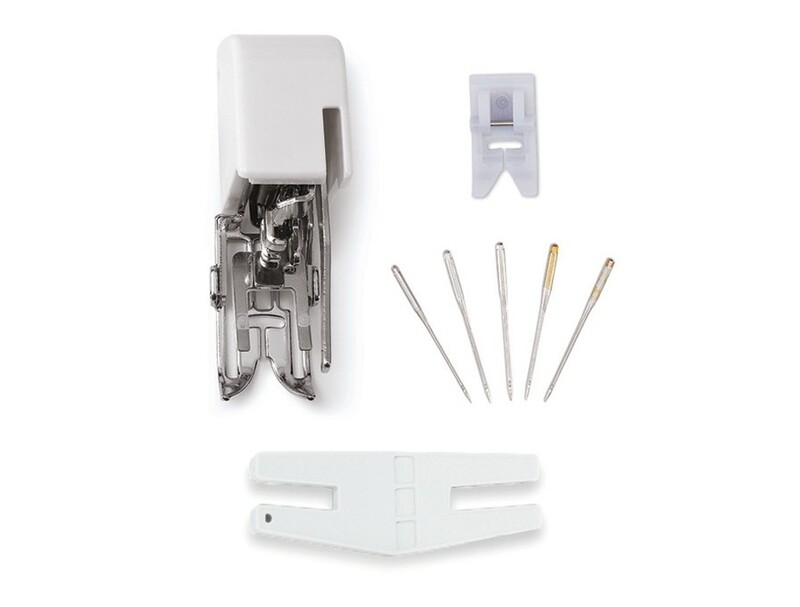 The standard package comes with 4 types of foot, a quilt guide, needles, bobbins, seam ripper and several more accessories. Unfortunately, like a number of other Singer models, this one also seems to be a little difficult to thread. It’s not just new owners who are having a problem but even according to those who had this machine for a while. When it comes to sewing performance, the stitches made from this machine are not as satisfactory as what you’d expect. Particularly, the zigzag stitch came out looking of very poor quality. This is a hard-working and solid machine. It is great for beginners up to probably about intermediates.